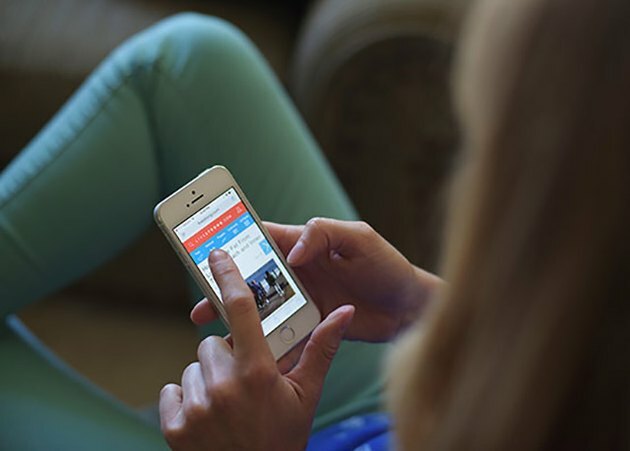 LIVESTRONG's MyPlate App Is Nominated for a Webby Award and Needs Your Votes to Win! We are thrilled to announce that our MyPlate Food and Fitness App for iPhone, iPad, Apple Watch and Android phones has received a Webby Award nomination for Best Mobile App Design and Function category. MyPlate has been downloaded by more than 10 million people who have lost a total of 41 million pounds (that is 20,000 tons or 100 times the weight of the Statue of Liberty!) More than 40 percent of Americans experienced obesity in 2016, so offering MyPlate as a free tool is our way of helping millions of people learn how to eat the foods and snacks that will fuel their optimal health. To win the coveted People’s Voice Award (voted on by people across the globe), MyPlate needs your votes! We can't do this without our readers help and support. From now until April 19th, LIVESTRONG’s readers can cast their vote HERE for MyPlate. It takes less than a minute to cast your vote. The LIVESTRONG.COM website also received an honorary entry for Best Lifestyle Website. The last time LIVESTRONG won a Webby Award was in 2012, when we won the People's Voice for Best Health Website. We know that the competition is fierce for these coveted awards, and we are greatly honored by this recognition. It is a true testament to the enduring commitment of both our online community and our in-house staff. Our goal is to always build and provide the very best tools and knowledge to help our readers and users make informed decisions to fuel their minds and bodies and live their best and strongest lives. LIVESTRONG’s MyPlate App is an excellent resource featuring an easy-to-use calorie and nutrition tracker with a database of more than two million foods, a free 8-week meal plan and workout program, and an inspiring community support system to make getting fit, staying healthy and consuming balanced nutrition easy. Most recently, the app introduced free 8-week Stronger Meal Plans offering simple, healthy and delicious recipes for all diets. LIVESTRONG.COM provides the blueprint for simple, healthy living. With an audience of 32 million unique visitors monthly in the U.S. (via January 2018 comScore), and a network of experts and elite influencers in wellness, fitness and food, LIVESTRONG is the premier destination and action-oriented community for people who want to become their best selves – physically, mentally and emotionally. Hailed as the “Internet’s highest honor” by The New York Times, The Webby Awards is the leading international awards organization honoring excellence on the Internet. Established in 1996, The Webby Awards received more than 13,000 entries from all 50 states and 70 countries worldwide this year. The Webby Awards is presented by the International Academy of Digital Arts and Sciences (IADAS). Sponsors and Partners of The Webby Awards include: YouTube, HBO, WP Engine, EY, YouGov, Vitamin T, The Hollywood Reporter, WNYC Studios, Digiday, Glixel, Product Hunt, and Social Media Week. LIVESTRONG Leaders Submit Important Panels for Austin's SXSW 2018! They Need Your Votes!